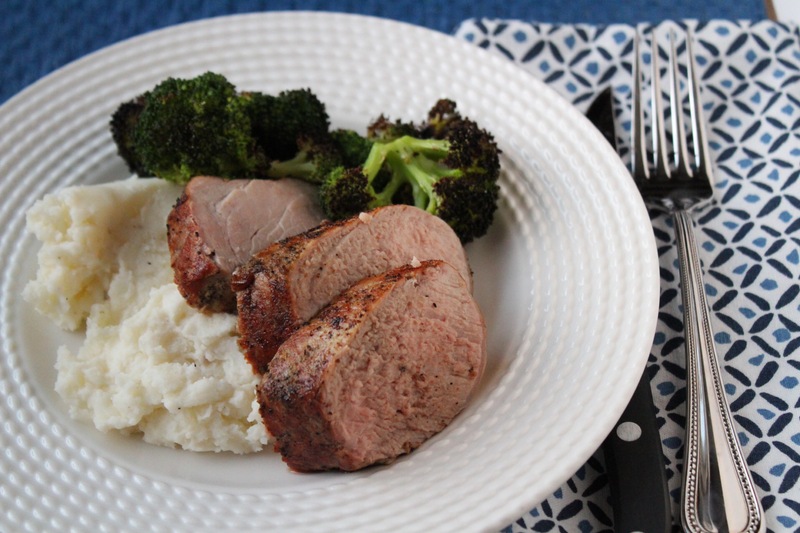 Wednesday – Pork tenderloin with roasted broccoli and mashed potatoes. Season pork tenderloin with salt and pepper and sear in cast iron skillet. 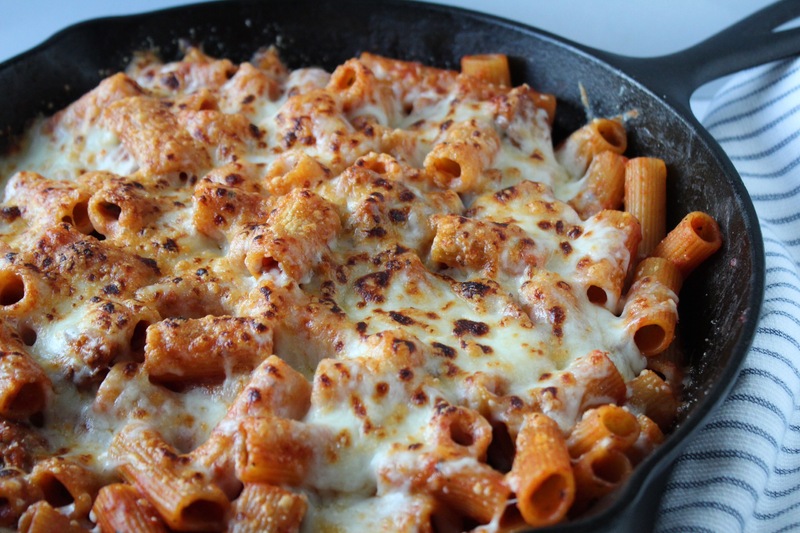 Finish cooking in skillet in oven set at 350 degrees for 45 mins or until internal temperature reaches 145. Monday-Chicken fajitas! I didn’t follow a recipe because I cheated a little! I bought a frozen packet of onions and peppers from Trader Joe’s. I poured half the bag into a skillet and cooked it on medium heat until charred, about 10 mintues. For the chicken, I bought a package of chicken cutlets and used half of them tonight. After the peppers and onions were cooked through, I added the chicken to the same pan and cooked for and additional 5-8 minutes. Tuesday– Chicken stir fry with shredded brussel sprouts and cashews. I used the rest of the chicken cutlets with this recipe. Wednesday– Cheeseburgers with sweet potato fries and broccoli. I learned from the last time, don’t cook the fries on the grill! So instead, I peeled the potato, sliced it, layed them on a cookie sheet, and drizzled with olive oil and salt. After baking them at 450 for 15 minutes, I then turned them over and baked for another 5 minutes. I also layed the broccoli in a small baking pan, drizzled with olive oil, seasoned with salt and pepper and broiled them on high for about 10 minutes, stiring occasionally. Thursday– Pasta with spicy chicken sausage and broccoli rabe. I followed this recipe, but cut it in half and used chicken sausage instead. I took the sausage out of the casing and cooked it like ground meat on the stove. Friday-Pork tenderolin with rosemary potatoes and grilled squash. I used the last of our homegrown vegteables. The pork tenderolin was cooked according to the package directions. For the potatoes, I cut them into cubes, seasoned the fresh rosemary and salt and baked at 400 degrees until soft, about 45 minutes. I didn’t realize that the past three weeks have been Mexican themed dinners! (sorry I’m not sorry!) I love Mexican! But this week is more classic American. We made a pork tenderloin, baked sweet potato, sauteed squash and zucchini, and a tomato salad. The pork tenderloin was by one get one free at Stop and Shop! I bought two unseasoned tenderloins and froze one. I like to keep my seasoning simple, just garlic, rosemary, and salt and pepper. Because my husband was at the airport, I didn’t have my griller available. So instead, I cooked the veggies in an electric skillet (Thanks Nannie for the skillet!). I’ve never used one before, so it was a bit of an experiment. I seasoned the vegetables the same as if I was grilling them – salt, pepper, and olive oil. I cooked them on 350 degrees until they started to brown, stirring often. The tomato salad (all from my garden) is my go-to recipe for a summer salad. 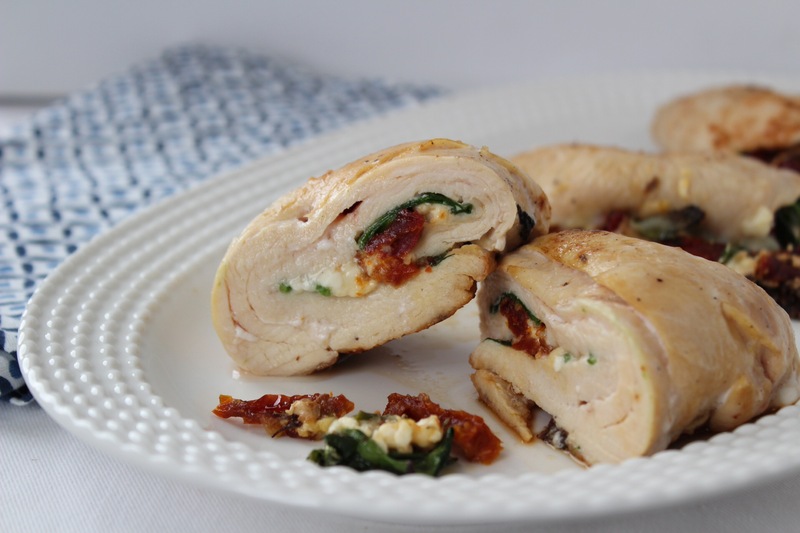 It’s great to bring as a dish to a dinner party and a perfect side to add to dinner or lunch. Since the oven was preoccupied by the pork tenderloin, we cooked the sweet potatoes in the microwave. First, Hope poked holes with a fork over each potato. Then, she placed all three potatoes on a plate and cooked for 8 minutes, turning once halfway through. The two smaller potatoes were good, 1 larger one needed to go back in for another three minutes. It was a great dinner with my sister and BIL! Hope wasn’t too sure if she’d ever cook a pork tenderloin for herself at school, but I reminded her it’s a great, easy meal to cook once, eat twice! Click here for other ideas for tasy pork tenderloin recipes. For the week of May of 24th, I used a pork tenderloin for two recipes. I bought an unseasoned pork tenderloin (two come in the package). The first piece I made rosemary pork tenderloin in the oven and for the second piece, I cut it in half, put one half in the freezer to save for a future dinner and cooked the other half at the same time with the seasoned strip to make a pork stir fry with edamame and broccoli later in the week. 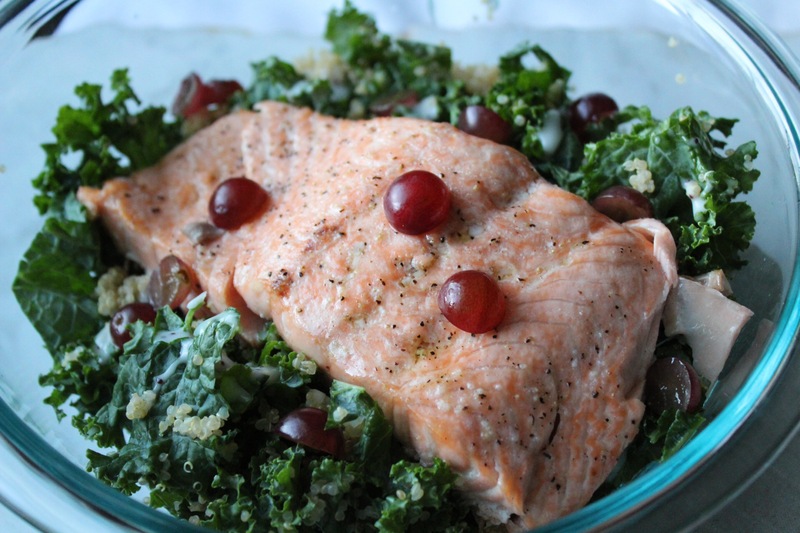 For other multi-use ingredient dinner ideas for this week, please click here to see what I made with kale. Preheat oven to 350 degrees. Cut 6-8 slits in pork and stuff with garlic slices and rosemary. Season pork with salt and pepper and drizzle olive oil over pork, rub in. NOTE- I cooked both the full strip and half strip together. I seasoned the half strip with salt and pepper and then set aside to use later in the week. NOTE- Whenever I make mashed potatoes, I don’t usually follow the same recipe twice. I use whatever I have in my fridge. Sometimes milk or sour cream, or both, or sometimes butter, but not often. Gotta keep it healthy! I usually roast them in the oven, but since the pork was cooking in there and left me with no extra space, I cooked these on the stove top. Add brussel sprouts and cook about 15 minutes, tossing frequently, until browned. 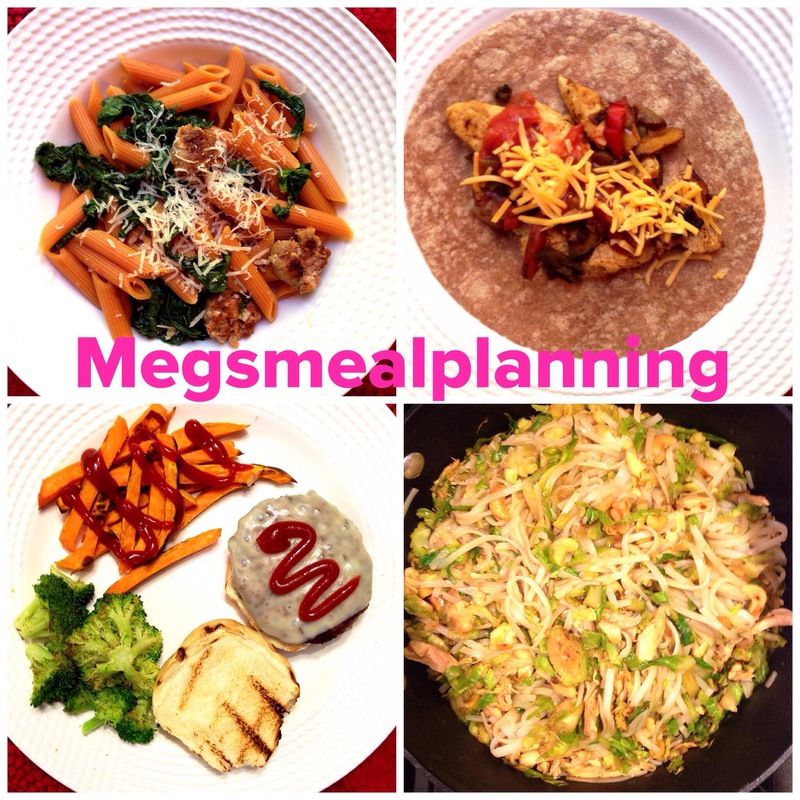 This week I’m featuring two main ingredients that will be used in different ways to make up the dinner ideas. This week pork and kale will be the stars of the show! I will write a separate blog post about the two ingredients and the meals I chose for each of them. Monday– Happy Memorial Day Everyone! Enjoy celebrating, but remember our troops and everything they do for our country! 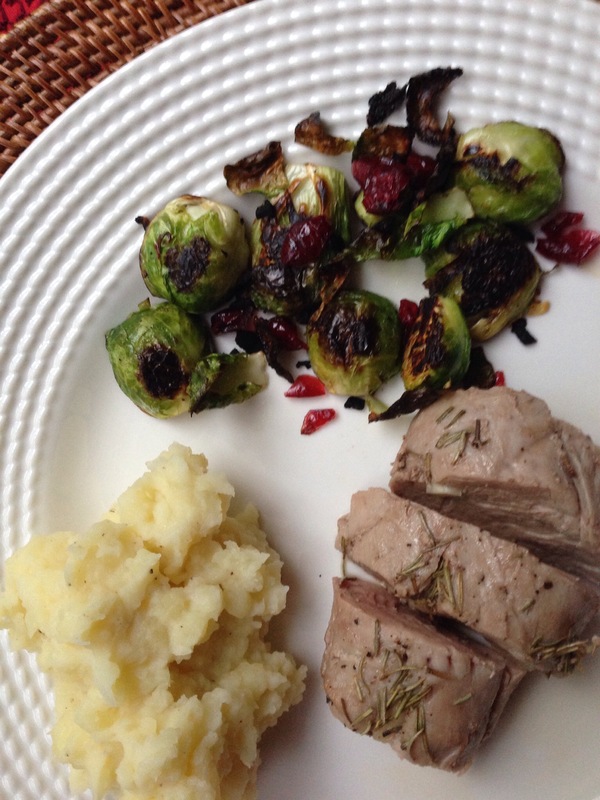 Tuesday– Pork tenderloin with mashed potatoes and brussel sprouts. 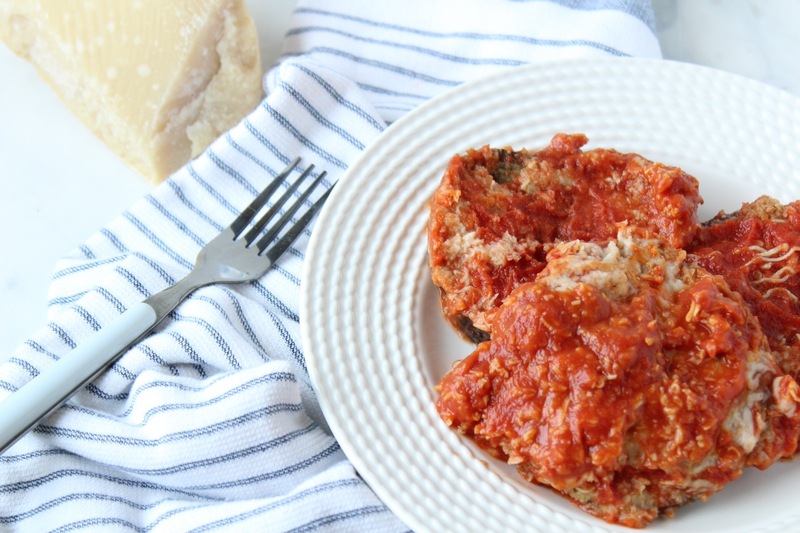 This is the first of a two-part dinner special featured this week on the blog. Wednesday– Kale and Shrimp Skillet. 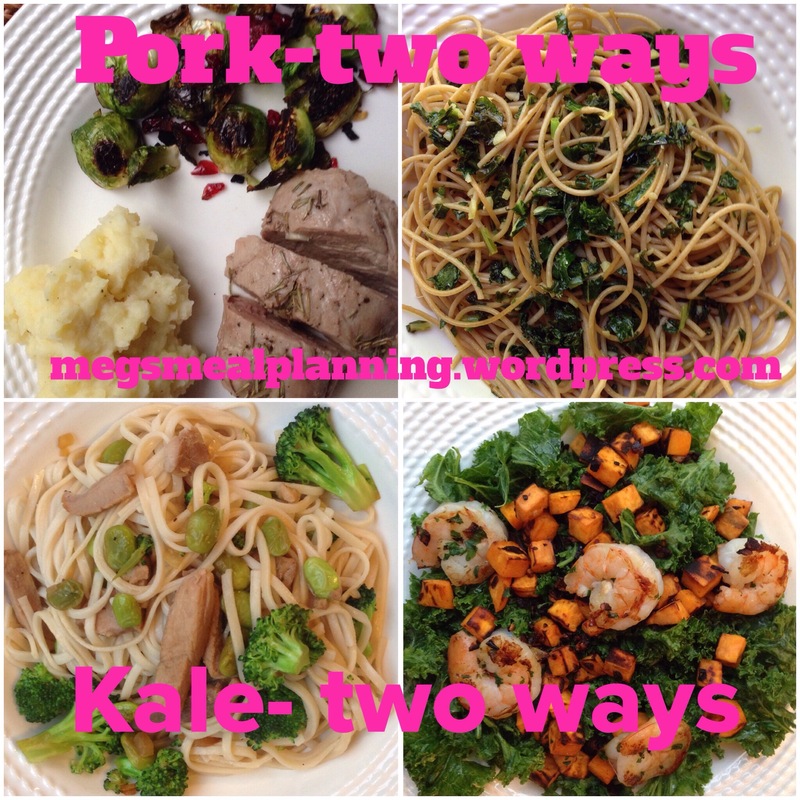 This is the first of two-part special with kale! 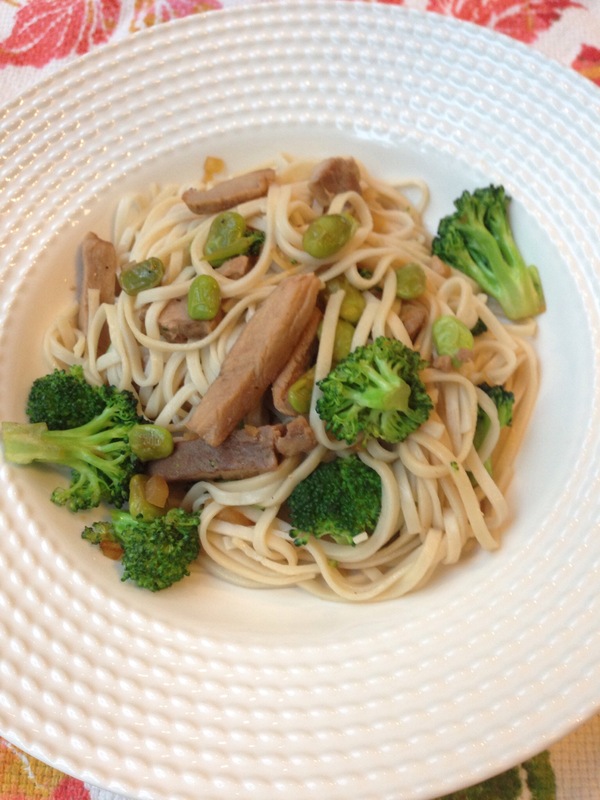 Thursday– Pork stir fry with edamame and broccoli. I cooked the pork for this meal at the same time I cooked the tenderloin for Tuesday night’s dinner. It saved me time in the kitchen; who doesn’t love that!? Friday– Spaghetti with kale, lemon, and garlic. A very light and refreshing dinner with a little kick from the red pepper flakes! Goes great with a glass (or two!) of white wine!